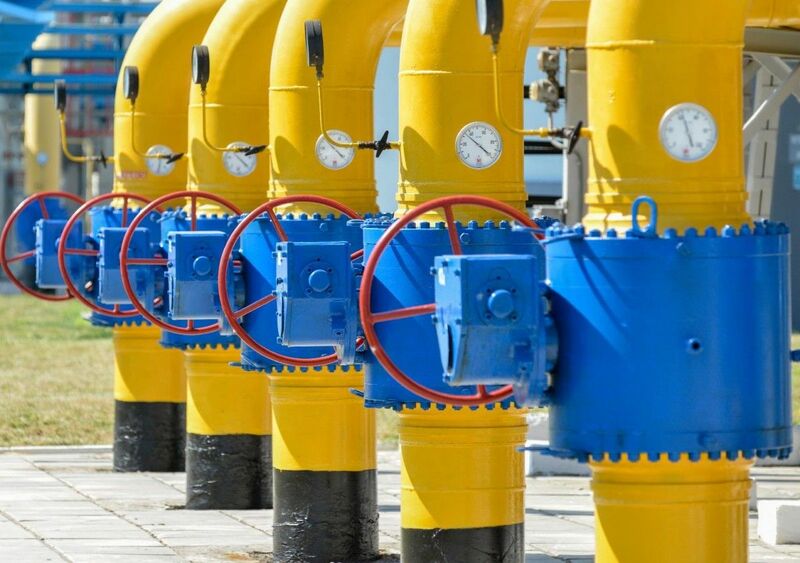 Ukraine should in the near future resolve the issue of setting up a consortium for managing its gas transmission system; otherwise, its pipelines will turn into scrap by 2020. The action plan has long been developed but the conflict between the government and Naftohaz hinders its implementation. Experts warn that if they do not stop pulling a blanket, it is Russia who will win. The fate of Ukraine's gas transportation system continues to be a hostage to the conflict between the government’s energy block and Naftogaz. At stake is the preservation of gas transit via the territory of our country. And this means no less than $3 billion in revenues. The thing is that our pipe can suddenly become scrap for two reasons - extremely high probability of construction of gas pipelines bypassing Ukraine by Russia, which has now stepped up efforts with the support of a number of Western countries; and also the expiration in 2019 of the contract with Gazprom, which provided for the pumping of its gas through our GTS. Only transferring the gas transportation system under the management of the consortium, created jointly with the European partners interested in Ukraine’s transit capacities, could save the situation. The tug-of-war by the two key players in the process not only violates all plans that have already been worked out (taking into account the opinion of the European Commission), but also plays into the hands of our ardent adversary, Russia, which suddenly gains grounds to appeal to European partners on the "unreliability" of Ukraine as a gas transit country. 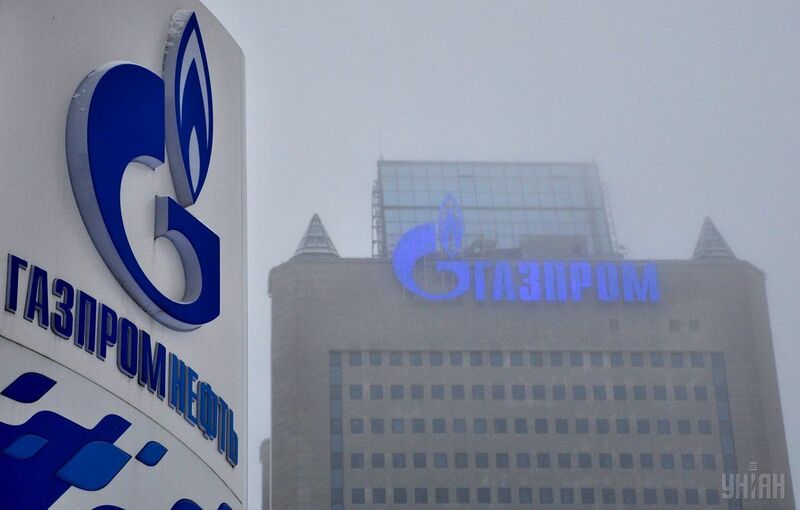 According to the law on the gas market adopted in 2015, that is part of the implementation of the EU’s Third Energy Package (which Ukraine is obliged to implement because of its membership in the European Energy Community and within the framework of the UA-EU Association Agreement), the GTS should be withdrawn from the management of Naftogaz’s branch, Ukrtransgaz, and transferred to a new structure, specially designed to fulfill this task, called Mahistralni Hazoprovody Ukrainy (Trunk Gas Pipelines of Ukraine). After the final decision of the Stockholm Arbitration on Naftogaz claims, which is expected in mid-February 2018, a consortium for the management of the GTS with the participation of European partners is expected to be formed based on this operator, to save the Ukrainian pipe from a number of looming threats. Moreover, this plan was reflected in two government resolutions of 2015 and 2016. They even defined the time frame for what needed to be done and when. But nothing went further than setting up on paper early this year PJSC "Mahistralni Hazoprovody Ukrainy” (MHU, Trunk Gas Pipelines of Ukraine). Corporate governance system was never created; company's supervisory board was not selected; while funds for the structure (hiring staff) were never allocated, either. 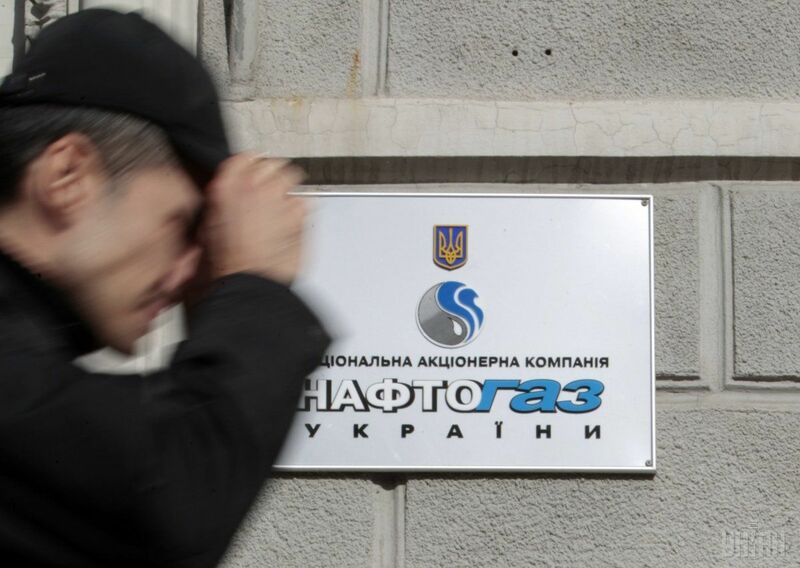 Naftogaz took it as a process dragging by the Cabinet of Ministers and started to act independently: it created within Ukrtransgaz a new branch, "Ukrainian GTS Operator". Then it transferred assets there worth UAH 250 billion, reassigned 1,100 gas transportation contracts to the new company, and intends to conclude another 19,000 before year-end. Without slowing down its pace, Naftogaz is also recruiting a 309-staff staff for the new company. According to Naftogaz's plans, the branch will become a separate independent legal structure on based on which a joint consortium with the Europeans will be set up, or the "Ukrainian GTS Operator" will simply be transferred to the "Mahistralni Hazoprovody Ukrainy " when this company has finally been established. To achieve its goal, Naftogaz also signed a contract worth UAH98 million with Rothschild S.p.A. investment company (Italy), which is a part of the international financial holding Rothschild & Co (this is the company dealing with a blind trust for President Poroshenko’s business). The essence of the contract is to provide services for the separation of the GTS from Naftogaz and the attraction of a partner to manage pipelines. According to Naftogaz, the bidding to select Western partners should also be conducted by the Rothschilds. "The legislation determines the powers of the Cabinet to agree on the terms of this bidding. But our position is that it should be done by professionals, those who at least once in their life attracted a partner and implemented similar projects. To this end, we attracted the Rothschild investment bank. Let the professionals do it," said Yuriy Vitrenko, a Chief Commercial Officer of Naftogaz. Incidentally, without waiting for the outcome of that whole story with Rothschild, Naftogaz held parallel talks with potential Western partners independently. According to the company officials, certain agreements have already been reached with gas transportation companies Snam from Italy and Slovak Eustream. Similar agreements have been reached with the Gasunie (the Netherlands) and GRTgaz (France). Meanwhile, the Ministry of Energy took such actions by Naftogaz as a violation of all government resolutions adopted as part of the process of withdrawing the gas transportation system from the Ukrainian gas giant, while Minister Ihor Nasalik ordered that a Commission be set up to investigate the reasons for the Naftogaz leaders’ failure to fulfill the government action plan to transfer GTS assets of the GTS to Mahistralni Hazoprovody Ukrainy (MHU). There have been no reports on the Commission’s conclusions so far. But, according to a source close to the process, the Commission’s draft decision has already been prepared - to dismiss Naftogaz CEO Andriy Kobolev. But Naftogaz went for a pre-emptive move, having launched an active dialogue with Western partners to maintain its position, while Kobolev has personally held a number of public events with the participation of the mentioned partners, who supported his plans. As a result, the resolution on his dismissal never saw life. Meanwhile, the European Commission, while monitoring the developments, decided to give boost to the efforts by Ukraine’s officials, stating that it would block the construction of Russian Gazprom’s Nord Stream-2 gas pipeline bypassing Ukraine only if our country transfers the GTS to the management by European energy companies – through rent, concession, or joint management, right after the completion of a gas dispute consideration at the Stockholm Arbitration. According to the estimates by the mentioned Rothschild S.p.A., the Stockholm Arbitration will hand down its ruling within 2 or 3 months. Against the backdrop of a scandal that has already gone up to the international level, the Ukrainian delegation flew to Brussels. Following the visit, the Cabinet immediately announced the start of the procedure for selecting international partners for managing Ukraine’s GTS. First, consultations will be held with foreign operators, and then the terms of the bidding procedure will be developed after that. To implement these plans, a working group was set up, headed by Vice Prime Minister Volodymyr Kistion. Paradoxically, all these uncoordinated actions by the authorities are for the benefit of Russia exclusively, because it is Russia who is interested in disrupting plans for the preservation of our GTS after 2019. Experts warn that if the conflict drags on, Ukraine will become an ultimate loser: "2019 is coming fast, there is no time for disputes and pulling blankets; besides, Naftogaz has specific proposals, and there are just few,” said Mikhailo Honchar, president of the Strategy XXI Center for Global Studies. According to him, among all proposals acceptable for Ukraine on the terms of offers put forward for discussion, only one is ready - it is about the Slovak and Italian companies as partners. After all, the most acceptable route of gas supplies for Rome was, is, and will be the one via Ukraine and Slovakia. The price of gas transit through Nord Stream-2 will be much higher for Italy. The only problem for Ukraine is that the consortium with these participants is ready to take over not all of our GTS, but only one of the routes to the EU, the Urengoy-Pomary-Uzhgorod pipeline. "And, instead of arguing over who is in charge, it is necessary to address the problem - what should be done with the rest of the gas pipeline. Moreover, no one from the Ukrainian side has ever raised it out loud before the Europeans. But the idle capacities will need to be preserved, a lot of technical work will have to be done to cut off branches, service personnel will have to be laid off, and physical protection of these sites will have to be ensured. The total capacity of our GTS is 142 billion cubic meters per year, while the consortium will cover a maximum of 40 billion cubic meters. Right now, we need to raise the issue of compensation for losses associated with these processes. In this issue, as well as in the choice of consortium participants, national interests should primarily be taken into account," said the expert. Oleksandr Kharchenko, director of the Center for Energy Studies, also notes that the interests of possible partners vary greatly: someone seeks full management, someone - rent, and someone - a concession. But most importantly - the confrontation between the Ministry of Energy and Naftogaz is extremely harmful to Ukraine. The expert sees a Moscow trace in this row. "The conflict between the government and Naftogaz, which is bringing along the turmoil in relations with Western partners, looks very strange. Unfortunately, the influence of Dmytro Firtash on our government becomes evident, and it is in his interests that the creation of a consortium for the management of the GTS never happens. The following government decisions speak of the power of influence of this odious oligarch: gas transportation rates are raised for regional gas companies, all conditions have been created for huge non-payments, while no measures are being taken to ensure transparency of reporting. Noteworthy, Firtash, taking into account his gas business, has always been considered the hand of the Kremlin. That is, it looks like Gazprom, while actively promoting its pipelines bypassing Ukraine, destabilizes Ukraine from within. This is the most direct Russian interest. After all, the loss of gas purchases by Ukraine is the biggest slap in the face they suffered from our country. And now they are doing everything to ensure that the developments, if not turned in the right direction, then at least ensure a "moral" compensation for them," said Kharchenko. He believes that it is the office of Vice Prime Minister Volodymyr Kistion that does everything to halt the process of setting up a consortium for managing the Ukrainian GTS. "While I was in Brussels, a representative of the European Commission, who had earlier visited to Ukraine to communicate on this issue with the government, told me that in Europe they do not understand what is going on here. According to him, when they come to negotiate with the government, there is some gentleman already sitting there waiting. The EC representative told me: ‘When we ask, who that is, the answer is that this is [Vice PM Volodymyr] Kistion’s advisor, but we are aware that the man is a representative of Dmytro Firtash’s company.’ And this irritates the EC extremely. They are already saying this directly - if you do not complete the process of creating a consortium within 2 or 3 months following the ruling of the Stockholm Arbitration, we will grant permission to the Russians to build Nord Stream-2," Kharchenko noted. We should just hope that common sense will prevail and our public servants will cross the t’s and dot the i’s. "If all these scuffles stop, we can do everything in time. But, if they keep pulling the blanket, Ukraine will remain with nothing. Investors have long ceased to believe Ukraine’s government team, who says one thing, but does something completely different. Therefore, it is necessary to use up all opportunities to solve the problem looming over the GTS," Honchar summed up.